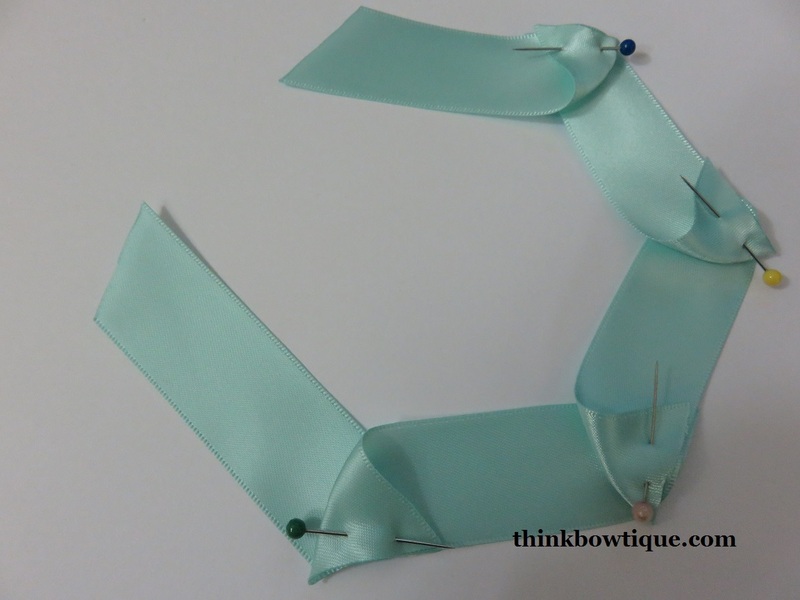 This satin ribbon flower can be made with a few different widths of ribbon. 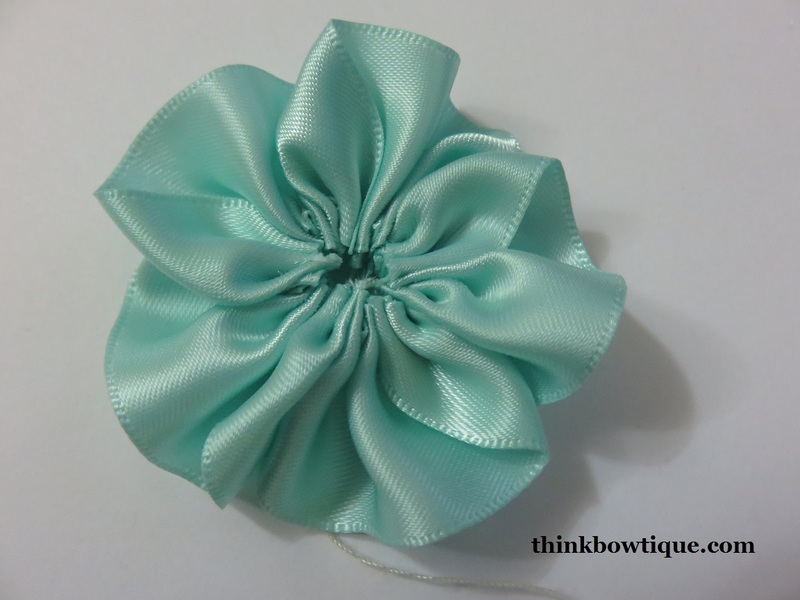 Attach to a hair clip for a simple hair accessory or sew onto clothing, bags, hats or any craft project you may have. Your selection of satin ribbon. I used 25mm double sided satin ribbon. 5 lengths cut 10cm long. 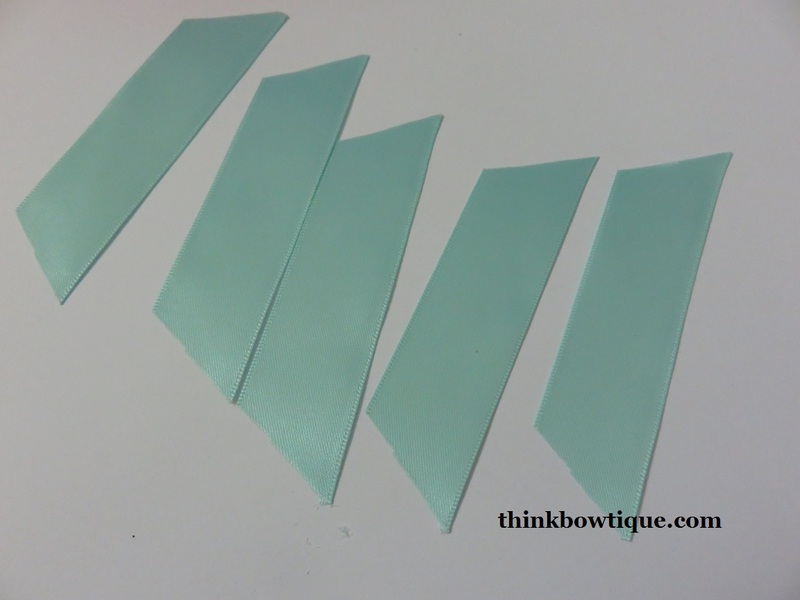 Once you have cut your satin ribbon into 5 lengths 10cm long you will need to cut the ends on a 45° angle. Make sure to seal the ends of the ribbon. 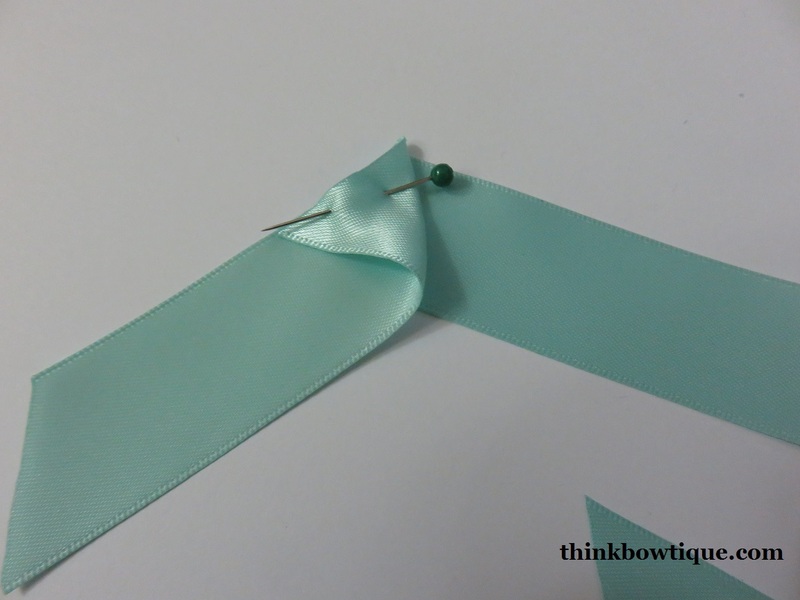 Now lay your first length of satin ribbon with the shorter side up and the long side on the bottom. 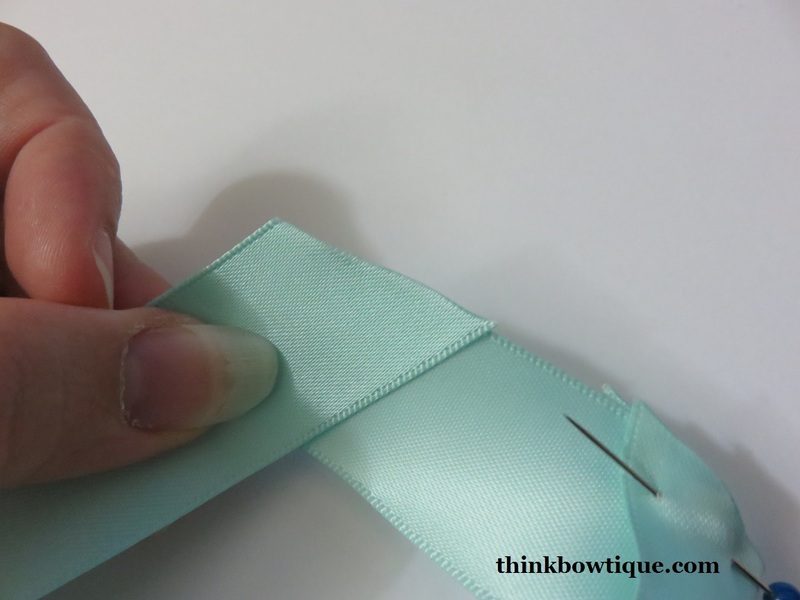 Take your second length of satin ribbon with the short side facing out to the left and the long side into the centre. 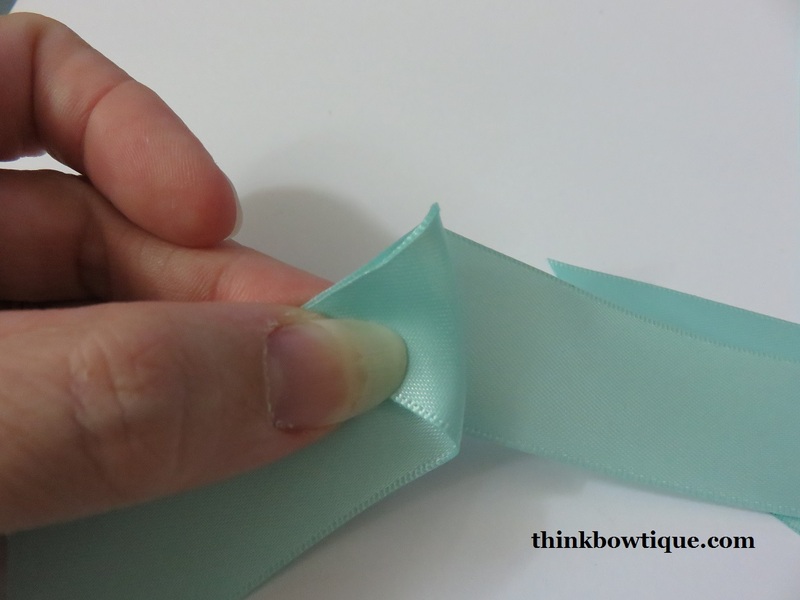 The end of your second satin ribbon will sit on top of the first with the angle edge lined up with the short edge of the first ribbon. 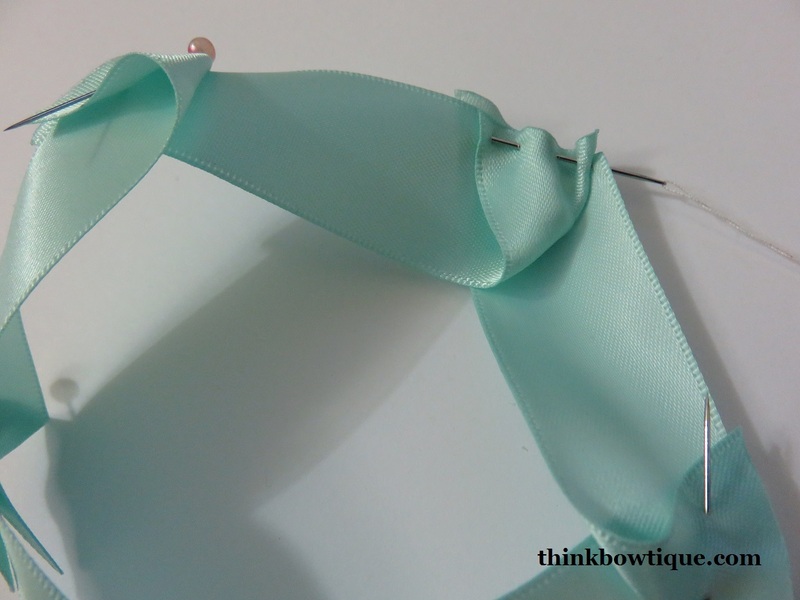 Now take the corner of the long edge of your top satin ribbon. 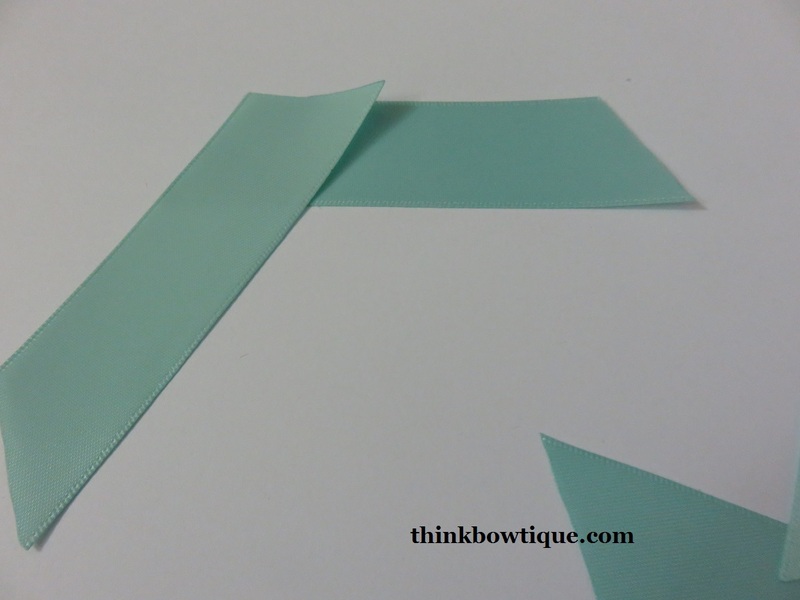 Fold the edge that is cut at 45° angle back so it lines up with the short edge of your second satin ribbon. Now take your third length of satin ribbon and repeat. Continue until you have the five lengths of satin ribbon joined. 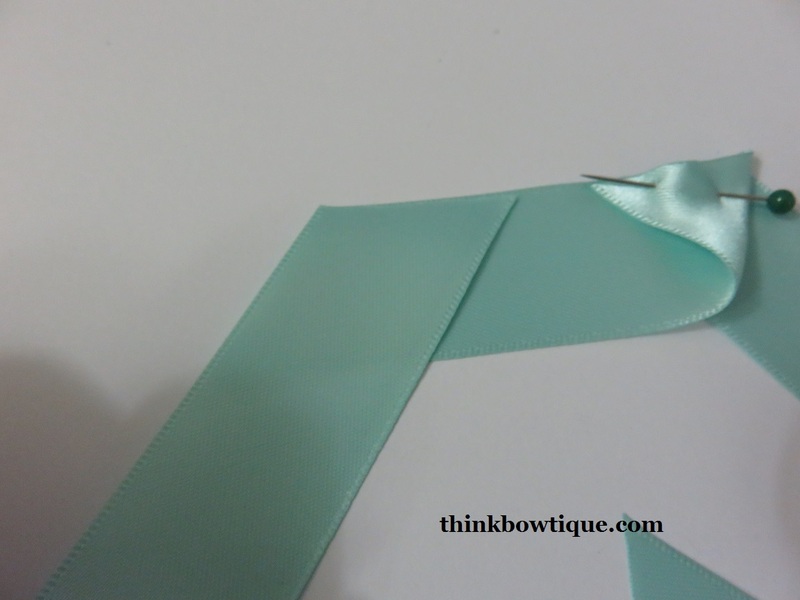 Now pick up your first length of satin ribbon and place it on top of the last length of satin ribbon and fold the edge as you did with the other lengths. Pin the fold. 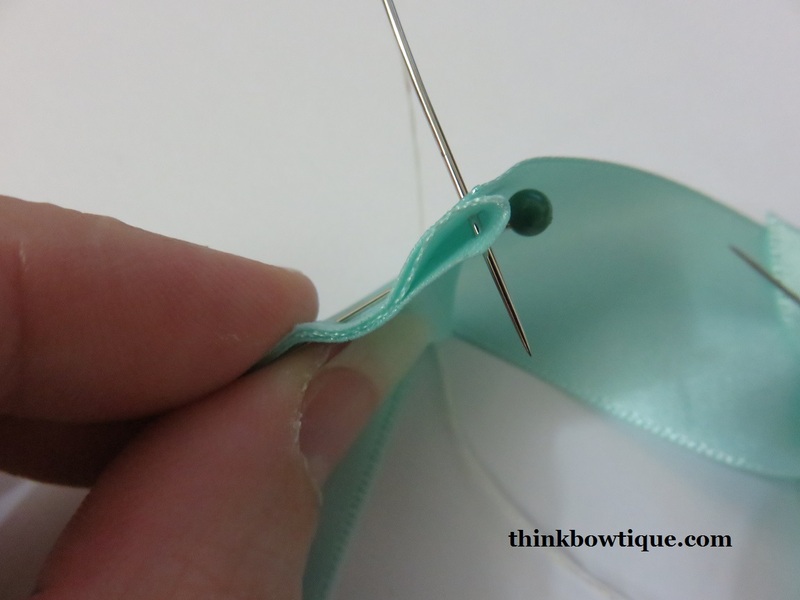 With your needle threaded and the thread knotted, being stitching through all three layers of ribbon. Do a running stitch or a gather stitch what ever you would like to call the stitch. Go all around the outside of your ribbon until you get back to the beginning. Now pull your thread to gather the ribbon. Pull the thread tight and tie off. I made this red flower using 38mm double sided satin ribbon. I also cut the ribbon lengths at 10cm. 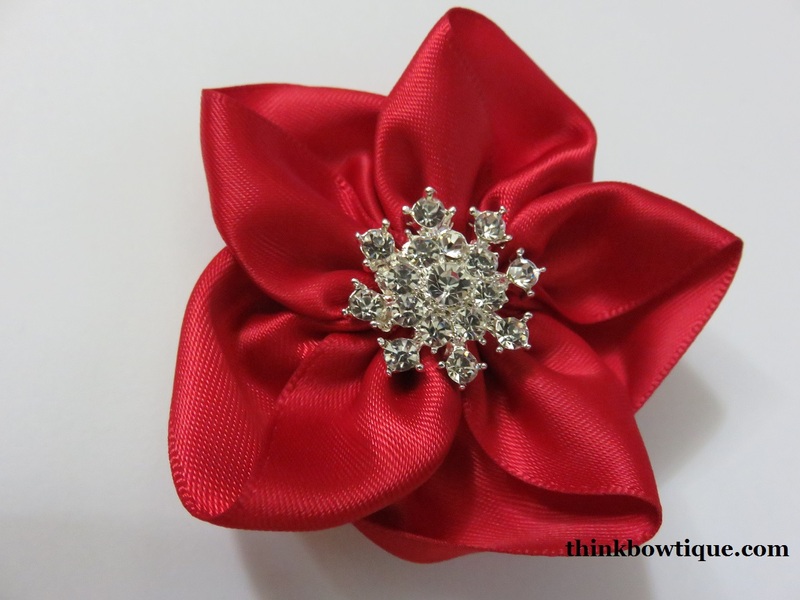 Need satin ribbon to create this stunning flower Think Bowtique has a large range of colours to match your project. 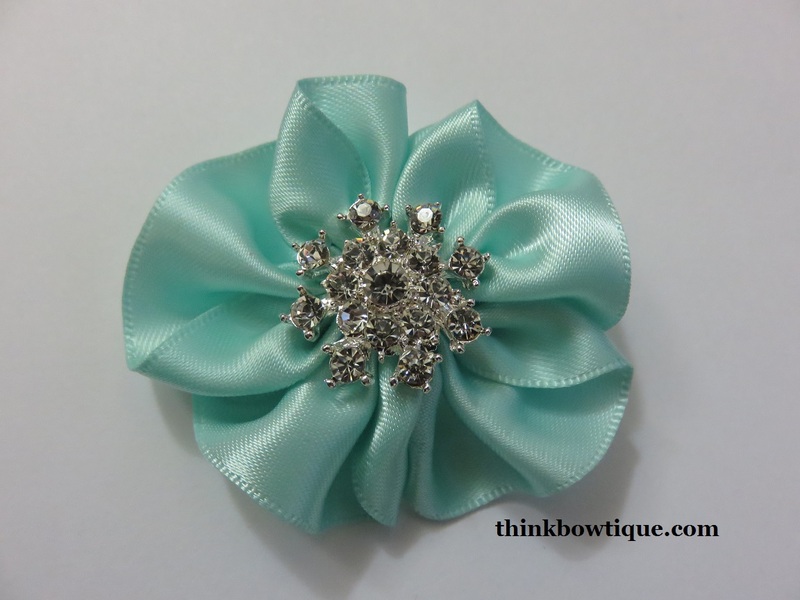 You can also find lots of pretty rhinestone embellishments at Think Bowtique.